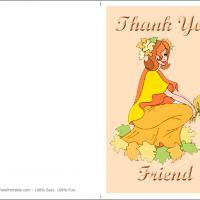 These printable thank you cards feature a girl in a peach dress with leaves. 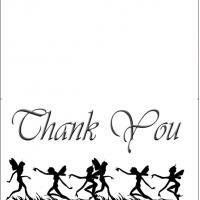 It is a perfect card to give to your girl friends to let them how important they are in your life, how happy you are to have them and to thank them for what they do or have done. 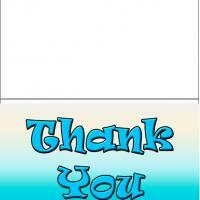 Print this card, include a personal message if desired and send it to the friend you are thankful to.